Zone 7 consists of ten regions across Northern California and Northern Nevada. When you join PCA, you either join or are assigned to a region. Activities in one region are generally open to all, and most are readily accessible. Also, regions offer dual membership, so you can maintain membership in your home region, and join an adjacent region for a nominal fee so you can participate more fully in their activities. Just ask! Members join and stay with a region for many reasons, including its location, the activities offered, and the people they meet. Membership applications are available online. You can choose to join any of the above regions, or if you do not designate your preference, one will be assigned to you based on the county in which you reside. We hope to see you soon! Diablo Region (DIA) is based in the East Bay counties of Alameda, Contra Costa, and Solano, but also has representation throughout the Bay Area. 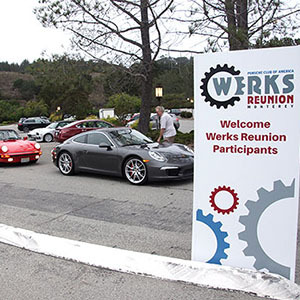 Diablo region has a strong base of social activities, with two large concours events every year, one wash & shine event, plus a Zone event at the famous Blackhawk Automotive Museum. More information can be their web site. Golden Gate Region (GGR) is blessed by its location in one of the most beautiful and diverse areas of the country with access to the exceptional beaches, forests, mountains, restaurants, wineries and racing venues of Northern California. 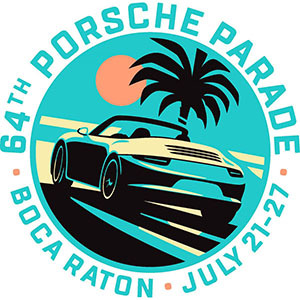 The region races its cars, conducts rallies, autocrosses and fun-runs; hosts social activities; sponsors driver education programs and concourses, as well as Porsche restoration and technical sessions. Monterey Bay Region (MBY) is based in Monterey and San Benito Counties, with many members residing in the Monterey Bay area, including Santa Cruz. Monterey Bay Region has many social activities, including tours and dinner meetings. Many of their members also volunteer for the Sports Car Racing Association of Monterey Peninsula (SCRAMP), operators for Mazda Raceway at Laguna Seca. Monterey Bay Region is the traditional host for events during the Monterey Historic races each year. In 2003, in conjunction with the Loma Prieta, they started a driver’s ed program. More information can be found at their web site. Redwood Region (RED) is based in the North Bay and coastal counties, extending from San Francisco to the Oregon Coast that encompasses Del Norte, Humboldt, Lake, Marin, Mendocino, Napa and Sonoma Counties. With beautiful geography, Redwood region has regular tours and social events. Redwood also has an autocross series, based at the Santa Rosa Airport, with 8 events each year Including a two-day Zone autocross (for those of you competing for points.) They also host many drives up and down the beautiful roads of the North Bay that often include a visit to a local winery. More information can be found on their website or Facebook page (facebook.com/RedwoodRegionPCA). Sacramento Valley (SVR) territory (located in the center of the state, with most member concentrated in the greater Sacramento Metropolitan Area) consists of the counties of Amador, Colusa, Sutter, Yolo, Yuba, Sacramento and the western parts of El Dorado (west of Carson Pass), Sierra (west of Yuba Pass), Placer (west of Echo Summit) and Nevada (west of Donner pass). Sacramento Valley has monthly dinner meetings, several tours each year (single-day and multi-day tours), a robust autocross program with a yearly beginners’ school, driver’s education events, rallies (which includes the long running famed Carrera de Sierra TSD Rally), Concours D’ Elegance, a yearly charity event and selected technical demonstration seminars each year. Sacramento Valley also hosts CRAB (which is an abbreviated word for Concours, Rally, Autocross and Begegnen, a german word for meeting). CRAB is the only recurring Zone 7 multi-region, multiple-day event which it was founded in 1972 following the National Parade event model. More information can be found at their web site. Sequoia Region (SEQ) is in the southern San Joaquin Valley, with most members in Fresno, Madera, Tulare, & Kings Counties. Sequoia has regular dinner meetings, tours, autocross with approximately 4-6 events, & Cars & Coffee the first Saturday of the month. More information can be found at their web site. Shasta Region (SHA) is based from Butte/Glen counties north to the Oregon border, with many members in the Redding area. Shasta Region hosts regular dinner meetings, plus several tours each year, including several overnighters. More information can be found at their web site. Sierra Nevada Region (SNV) is based in Eastern California and Northern Nevada, and includes the eastern slope of the Sierra Nevada Mountain Range and Lake Tahoe basin, Reno/Sparks, State Capitol Carson City, Incline Village, Minden/Gardnerville, historic Virginia City, Fallon, Yerington, Lovelock, Winnemucca and Elko. Most of its members are in the Reno-Carson City-Minden and Lake Tahoe area on the border of California and Nevada. Activities include monthly breakfasts, many drive and dines around very scenic mountains, Lake Tahoe and high desert region. Monthly Summer Wine Socials, Auto Cross shared with SCCA, A summer Concours de Elegance weekend, Oktoberfest drive and a fall Volunteer Appreciation Dinner and Christmas Dinner in December. More information is available at their web site. Great, we’d love to have you join us. Membership applications are at www.pca.org/join-porsche-club-america.